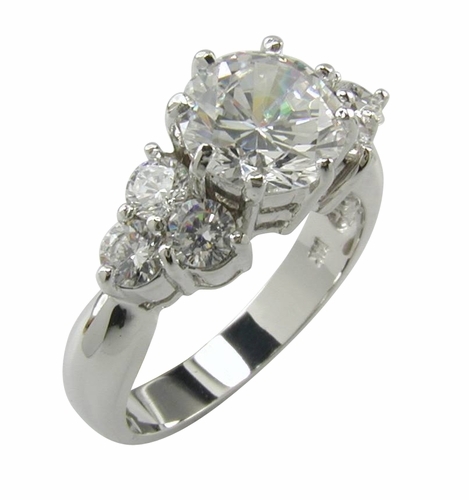 Our London 2 Carat Round Cubic Zirconia Round European Style Solitaire Engagement Ring features a 2 carat 8mm round brilliant center stone set in 8 prongs with three additional cubic zirconia round stones set in a cluster on each side. 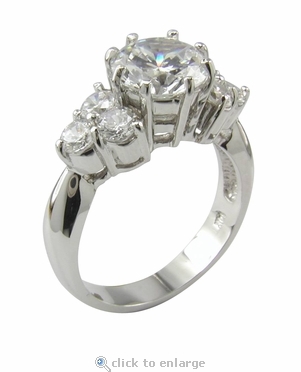 The center stone is set in a traditional European eight prong setting for a unique look that makes this ring different. This engagement ring solitaire features a total carat weight of approximately 2.5 carats and is set in a solid 14k white gold mounting. You can add almost any anniversary or eternity band to this solitaire to make a beautiful and eclectic wedding bridal set that is completely your own style. 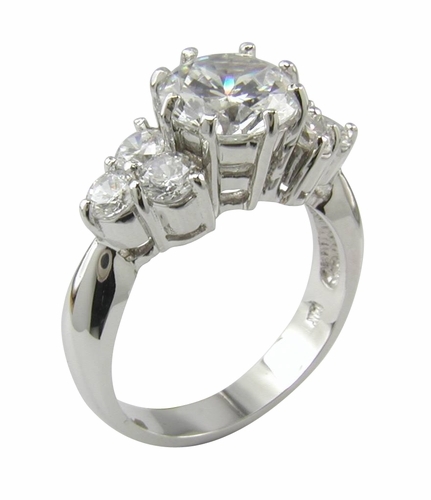 Our Russian formula hand cut and hand polished cubic zirconia includes a lifetime warranty against cracking, chipping, fading or losing brilliance. Due to extremely low pricing, all clearance sales are final.